Many of us have been at the Dubai airport and halted for an hour or two. Given the magnitude and the sections that airport has, it is difficult for anyone to explore the entire airport at a go. We bring you a list of things that are absolutely cool and worth exploring while you wait at Dubai. There is a possibility that you may find some of these at other airports also, but it’s at a different level in Dubai. It’s just so inspiring to see places like Dubai develop into such breath taking ways. You name it and the Dubai airport has it. Here are a few things that you didn’t even know you could ask for at the Dubai airport. You may not be able to check out everything at a go so make a list. Most of us are quite aware about this one. 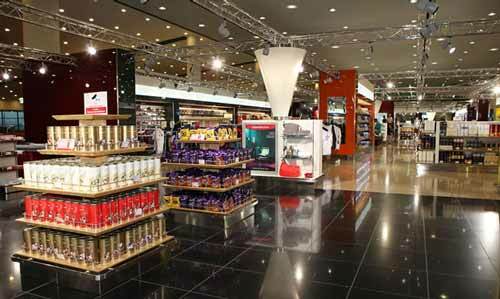 Duty Free is basically a kind of a mall at the Dubai airport that offers people products from various brands at very competitive prices. From food to chocolates and from pins to slippers,there is so much variety that one can easily kill hours and hours of waiting for the connecting flight. The duty free shops are at terminal 3 of the airport. One of the main highlights are the gold and jewellery shops at the airport. Yes, that’s right! The Dubai airport boasts of a beautiful swimming pool to cool off and rejuvenate the travellers. One can easily have access to the pool, jacuzzi, a fully equipped gym, sauna and shower facilities for a small fee. 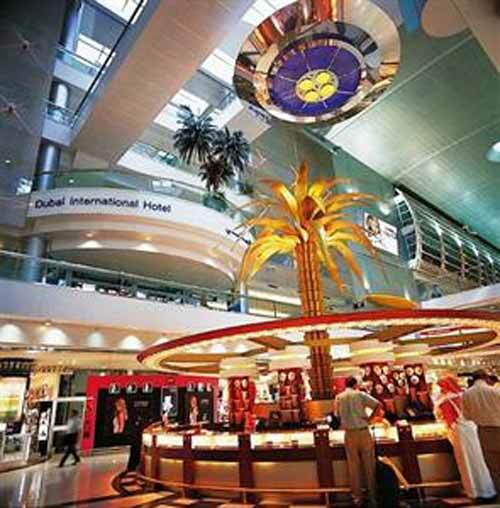 Terminal 1 of the airport offers its visitors the five star Dubai International Hotel. Since there is a hotel within the airport, it’s a big plus for the passengers since they can take a quick shower and relax before boarding their connecting flight. The hotel is attached in the last two levels of the Shaikh Rashid Terminal and has 88 well-kept room, a swimming pool, a conference room and restaurants. Dubai never fails to surprise us. The gardens are an absolute beauty and the perfect way to find some peace and connect with nature away from all the hussle at the airport. The garden gates are near gates B7 and B27. If one is tired from all the travelling and needs a quick nap, snoozecube is the answer. The snoozecubes are next to gate C22 in Terminal 1 with 10 snoozecubes that are available for rent by the hour. One can sleep peacefully in these snoozecubes at Dubai with worrying about missing your connecting flight. They take care of everything. The food court is found on the departure levels between gates 113 and 115. International cuisine is served here ranging from Indian, Chinese, Lebanese, French and Mongolian Barbeque. 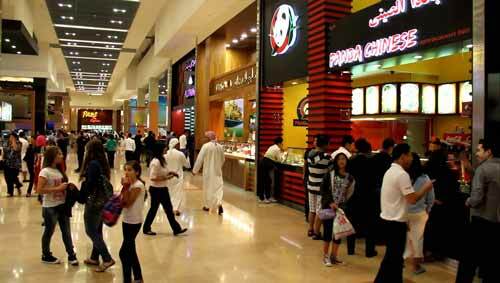 Fast food lovers can opt for McDonalds, Starbucks, KFC, etc. There is also a bar and a pub for alcohol and music lovers. You may also like National Geographic Traveller Photo Contest. Previous articleJon Snow Is Alive And The Internet Cannot Stop Celebrating!